I am adding a couple of chapters to the book. For that I read several books on the history of beer. Another topic I tackled in the reading was the connection between health and beer. This meant a bit of history since many historians claim that we have records of beer dating back to the early Egyptian culture. 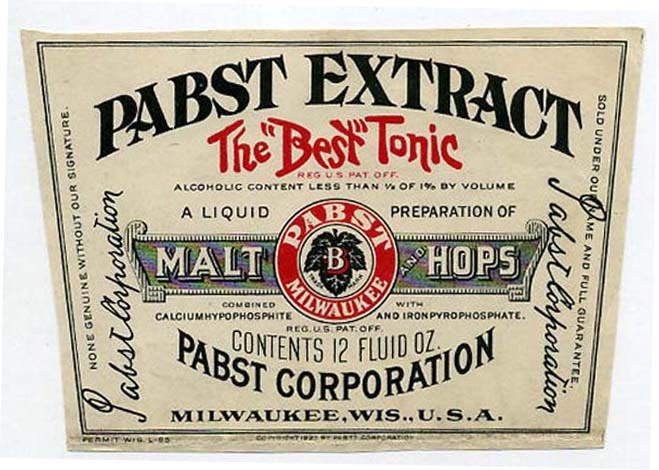 Also, the link between Pabst “The Best” Tonic and patent medicines cannot be avoided. Thus I needed to read something about the popular nineteenth century patent medicines. 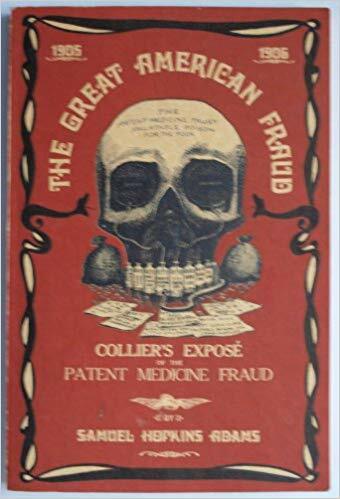 A book I just finished today is The Great American Fraud: The Patent Medicine Evil, written in 1905. The book tells the story of how most patent medicine companies at that time sold harmful remedies for just about any illness. The companies had newspapers in the palm of their hands. If any newspaper story ran critical of the patent medicines, the companies threatened to end a lucrative advertising contract with the paper. The patent medicine companies advertized more than any other industry in newspapers, both dailies and weeklies. So the papers depended on their advertising money. This is to let you know that I hope to be back on track with the Pabst book this Fall. I am reading material that I might add to the book. Lots of great stuff to learn about as background. Great fun. I will keep you informed as I move along. It has been a long time since I wrote anything on this blog. I just want you to know that I am writing another book, so the Pabst Tonic book has taken a bit of a back seat at the moment. Down the line I certainly intend to publish the Pabst book. I think you would enjoy reading it. It has been a while since I have been here on this blog. I have completed the Pabst Tonic manuscript. It is, however, too short in word count for a traditional publisher. At the moment I do not know what I will do or what step I will take to come out with a book, which is my goal. To Sell Alcohol as Medicine. If you have any ideas on where or how to publish the book, please contact me. Today I sent the University of Wisconsin Press a Prospectus on the book. They have expressed interest in publishing the book. Now I just wait to see if the Press wants the full manuscript and illustrations. Will keep you posted on how things progress. I like to read about the history of beer. 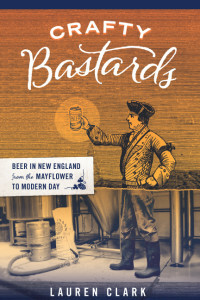 Recently I finished the book by Lauren Clark called Crafty Bastards: Beer in New England from the Mayflower to Modern Day. Since Colonial time in New England, people drank beer because it was a safe beverage and considered healthy. 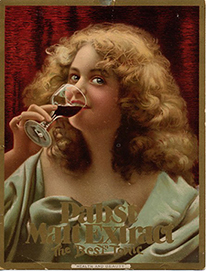 When A. Cressy Morrison, the Pabst Advertising Manager from 1887 to 1897, conducted ad campaigns for Pabst Extract, his message centered on the health benefits of the drink. People drank beer even in the late nineteenth century because it was healthy. So, in one sense, Cressy’s message made sense to people who wanted a beverage, even one with alcohol, that would benefit them. Yesterday I began the process of editing references I use in the book. At the same time I am working on the Bibliography as well. 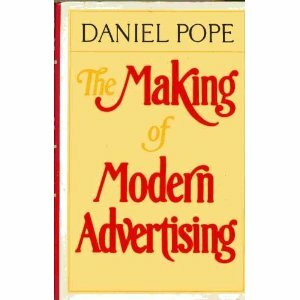 One of the references is Daniel Pope’s book The Making of Modern Advertising [below]. It proved helpful in understanding how the Pabst Brewery fit in with modern advertising in general in the 1890s. Hope to finish this step by the end of the month. It has been a while since I posted here and the reason is, of course, that I have been spending my time on editing the book. It is the beginning of July, and I continue to edit the book, chapter by chapter. I know that I will have the manuscript ready to send the publisher by the end of the year. All it will take is my patience to walk the journey of regular sessions at the computer to edit the work. 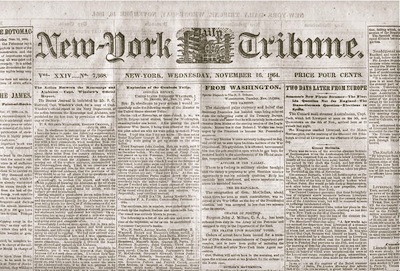 In the nineteenth century it was common practice for a newspaper to include an article favorable to a company or business that advertised in its pages. Pabst Brewery was no exception to receiving such an article.